One of the most exciting announcements at Sony’s E3 2017 press conference was that Guerrilla Games’ highly acclaimed open-world adventure Horizon Zero Dawn would be getting an expansion. 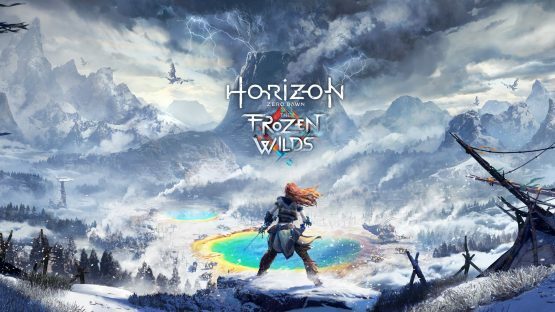 Called The Frozen Wilds, this DLC will feature a completely new area for Aloy to explore. One filled with new machines, and what appears to be hot springs. If parts of the debut trailer looked familiar, it might be due to the location being based upon Yellowstone National Park. That’s the takeaway that Games Radar had after picking apart the brief video. They believe that the new location is Ban-Ur, which is the home of the Banuk tribe, and that it shares too many similarities with the iconic park for it to not be based upon it. It makes sense when you look at the DLC’s artwork, which shows the park’s Grand Prismatic Spring. There’s plenty of additional analysis that’s worth checking out over at Games Radar, as they go deeper into the game’s lore. Horizon Zero Dawn: The Frozen Wilds is set to release later this year, and will cost $19.99. Those that pre-order the DLC can get it at a 25% discount.